Production has been completed for the first Korean theatrical VR film: VR melodrama Meet the Memories – First Love. The project is being produced by Barunson E&A, which has put out well known films such KIM Jee-woon’s western action film The Good, The Bad, And The Weird (2008), BONG Joon-ho’s drama Mother (2009) and UM Tae-hwa’s fantasy drama VANISHING TIME: A BOY WHO RETURNED (2016). VR content development company EVR Studio, part of Barunson E&A, will also take part in production. Barunson E&A is a subsidiary of Barunson, a company well known in Korea for its stationary and greeting card business. Barunson E&A has been working to expand into broader industries such as online games, mobile games and VR games, as well as film production. 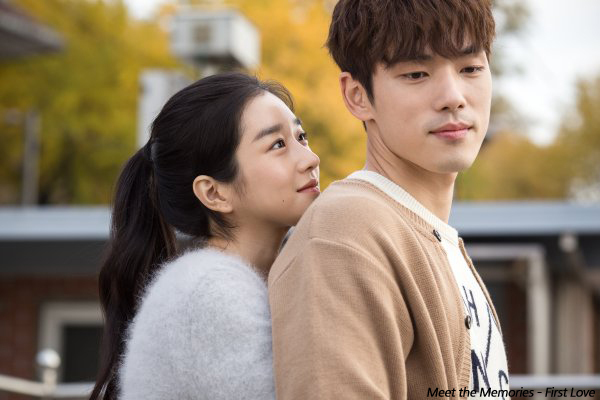 Meet the Memories – First Love revolves around would-be singer Woo-jin who is awkward at dating and misses his first love Yeon-soo. KIM Jung-hyun and SEO Yea-ji are confirmed to appear in the VR melodrama. Friend (2001) director KWAK Kyung-taek will produce and serve as a directing consultant while the film will be helmed by Bryan KU who directed VR animated film BOHWAGAK – A Long the Way to Utopia, one of the selections in the VR Cinema section at this year’s Busan International Film Festival (BIFF). This VR film began shooting in last May and completed production on November 17th. It is currently undergoing the VR post-production process of ‘stitching’ where the film’s footage is combined to offer viewers a 360-degree stereoscopic viewing angle. The film is targeting a March 2018 release. Meanwhile, Barunson E&A is holding discussions with CJ CGV for opportunities to apply 4DX technologies with CJ 4DPLEX. “We are making efforts so that audiences can watch this VR film with HDM headsets in theaters.” the company said.